The action is a stunning blow for a historic program that has performed among the most heart transplants in the nation. 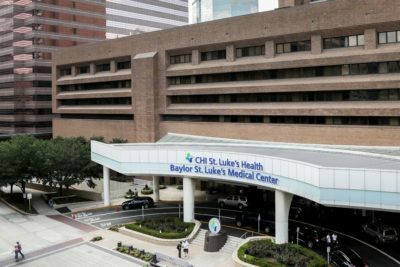 The heart transplant program at Baylor St. Luke’s Medical Center is set to lose federal funding today, a serious blow to a Houston hospital long regarded as one of the nation’s best for cardiac surgery. The Centers for Medicare and Medicaid Services announced in June that it would cut off funding for heart transplants this month after concluding that the hospital had not done enough to correct issues that led to a high rate of patient deaths in recent years. The federal action came weeks after an investigation by ProPublica and the Houston Chronicle detailed the depth of the problems and revealed that several physicians had left the program in recent years after raising concerns. Barring a last-minute delay by the agency, which would be highly unusual, the hospital will no longer be allowed to bill Medicare and Medicaid for heart transplants, and experts say the termination could affect the hospital in more far-reaching ways. With the federal sanction looming, some patients awaiting heart transplants at St. Luke’s have transferred their care to neighboring Houston Methodist and Memorial Hermann hospitals, officials at both said; at least two patients have already received new hearts since switching to Methodist. Meanwhile, St. Luke’s spokeswoman Marilyn Gerry said in an email that the hospital “is continuing to communicate with CMS about possible options” to maintain federal approval. Gerry downplayed the impact of federal termination, saying that it “only affects how Medicare pays for heart transplant costs” and that it won’t affect patients in need of lung, liver or kidney transplants. But experts say once Medicare refuses to cover heart transplants at a hospital, private insurance companies often follow suit. If that happens, most of the 87 patients on the program’s heart waiting list would have to either pay out of pocket for their surgeries, transfer to another hospital or hope that St. Luke’s is willing to perform the procedure at no cost. 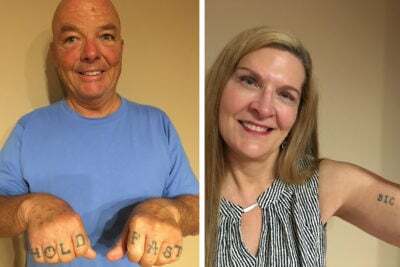 The transplant program has remained open since Medicare announced its intentions, but it performed no heart transplants in June or July, an unusual gap for a program that historically has done about 40 each year. St. Luke’s administrators suspended the program for two weeks in June to study what led to two patient deaths in May but then reopened it after saying they had made policy and staff changes. St. Luke’s officials declined to say if the program has performed any heart transplants in August. Hospital leaders also would not say if they intend to formally appeal the termination or whether they will seek recertification from Medicare, a costly process that can sometimes take several months or years. 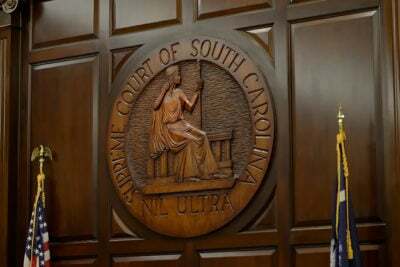 The deadline to appeal to an administrative law judge is Sept. 14. The federal termination could affect St. Luke’s in a number of ways beyond heart transplants. For example, federal rules require hospitals to have a written agreement with a Medicare-approved heart transplant program before implanting mechanical heart pumps in Medicare patients who would eventually require a new heart — a common treatment known as “bridge-to-transplant.” Without such an agreement, St. Luke’s much-celebrated left ventricular assist device program could suffer. In addition, private cardiologists might hesitate to send some advanced heart failure patients to a hospital that lacks a Medicare-approved transplant program. And St. Luke’s, along with its academic partner Baylor College of Medicine, could have a more difficult time recruiting top physicians, fellows or residents to staff its heart failure program. The hospital and its legendary surgeon Denton Cooley performed some of the world’s first heart transplants back in the 1960s. In recent years, though, it has had some of the worst heart transplant outcomes in the country. James “Lee” Lewis arrived at Baylor St. Luke’s Medical Center on New Year’s Day to get a new heart. He died three months later after a failed transplant and nearly 20 follow-up surgeries and procedures. “This has far-reaching ramifications beyond just the heart transplant program,” said Alexander Aussi, a San Antonio-based transplant consultant who has closely followed the situation at St. Luke’s. Losing Medicare is not unprecedented, but rarely has such a severe sanction been levied against a transplant program of St. Luke’s prominence. Some of the world’s first heart transplants were performed at the hospital in the 1960s and ’70s. Since the heart transplant program was formally established in 1982, only a handful of hospitals in the nation have performed more. 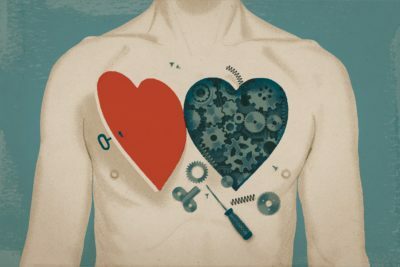 And, along with its research affiliate, the Texas Heart Institute, St. Luke’s has been credited with numerous advancements in the development of mechanical heart pumps now routinely used to keep patients alive until they can receive a transplant. Medicare first raised concerns about the heart transplant program during an inspection in December. At the time, an unidentified St. Luke’s transplant physician told a CMS inspector that the hospital had hired a consultant to determine what led to poor outcomes in 2015. The physician “explained that issues were identified with the major issue being surgical technique with one of the heart transplant surgeons, who was no longer practicing,” inspectors wrote. St. Luke’s officials have declined to say which surgeon was being blamed for poor outcomes. The physician St. Luke’s had hired, Dr. Jeffrey Morgan, came from Henry Ford Hospital in Detroit, whose heart program was smaller than St. Luke’s. Morgan was not its director and had only been the lead surgeon on 18 heart transplants in the previous five years. St. Luke’s officials say the heart transplant program’s one-year survival rate improved in 2016 and 2017 under Morgan’s leadership. 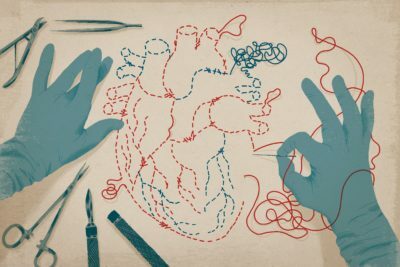 But multiple heart transplant recipients have suffered unusual complications since 2016, the ProPublica and Chronicle investigation found, including two who had major veins stitched closed during surgery, according to numerous sources. Another patient’s heart transplant failed this year after operating-room equipment malfunctioned during a key stage of surgery. Once Medicare cuts off funding, the program could face an uphill fight if the hospital wishes to regain federal approval, said Laura Aguiar, an Arizona-based transplant consultant who has spent years helping programs navigate regulations. In most cases, Aguiar said, a program seeking Medicare approval must perform 10 transplants and follow those patients for a year to demonstrate it has the proper medical and administrative infrastructure in place to support a safe transplant program. Mike Hixenbaugh is an investigative reporter at the Houston Chronicle. Email him at [email protected] and follow him on Twitter at @Mike_Hixenbaugh.